Within organizations, travel management is something of a vagabond. It may be independent or part of Finance, but increasingly it falls under Procurement. This trend does make some sense. Travel is, after all, about buying things. This makes sense because travel can involve RFPs and vendor negotiations. Procurement is good at that; it’s especially good at watching the organization’s money. In the end, savvy buying of travel goods and services can have a major financial impact. Relocation: Relocation is typically an HR responsibility. Business travel is actually relocation, except that it is temporary relocation. Arguably, it’s less complicated than permanent relocation so adding business travel to its portfolio wouldn’t necessarily be a big stretch for HR. Productivity: As Scott Gillespie points out, business travel is not really about getting from point A to point B. It’s about helping to accomplish some business purpose. In other words, business travel is about productivity. Work force efficiency and productivity is definitely in HR’s wheelhouse, while it’s not really Procurement’s specialty. Company culture: There are several questions involved, like: What class do travelers fly? What kind of room do they stay in? How much can they spend for meals? How much freedom should they have to make their own travel arrangements? Questions of “travel style” should closely align with personnel policy and culture. This isn’t the kind of thing at which Procurement excels. On the other hand, it is a core focus of HR. Employee compensation: Still, what about negotiations and getting the best price or best value? You can’t beat Procurement for that. Business travel costs a lot. You have to watch your spend or things can get out of control. True enough, but do you know what’s a much bigger expenditure than business travel? Employee compensation. HR has deep expertise in this and knows how to get what it needs for the right price. Have you wondered why salary negotiations aren’t handled by Procurement? Employee morale: Attrition is a huge concern for the organization. Minimizing it is a fundamental HR responsibility. Business travel is a major contributor to the loss of key people and low morale. Having control over business travel would give HR much needed leverage to fight high turn-over. Employee safety: HR manages employee safety at company facilities. 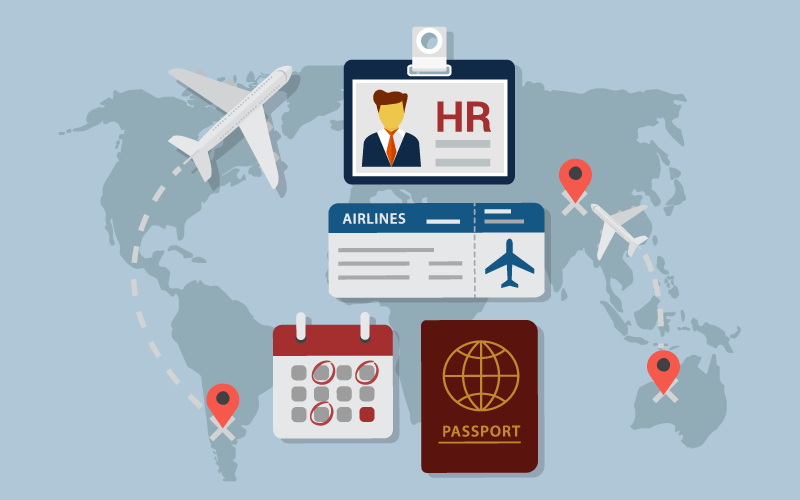 Why shouldn’t HR manage it for travelers? Duty of care is a concept with which HR has deep familiarity. For Procurement, it’s an awkward fit. Policy compliance: Travel policy compliance is still another area that better suits the skills of HR. What should the consequences of breach be? Of fraud? How best can employees be motivated to support the Travel Policy? In addressing these questions, Procurement is largely clueless compared to HR. Should travel management become an HR function? We definitely think so. What do you think?